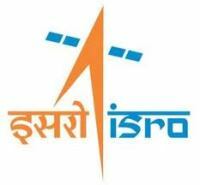 The Indian Space Research Organisation is the primary body for space research under the control of the Government of India, and one of the big six advanced space research organizations that dominate space (others are NASA (U.S), RKA (Russia), CNSA (China), ESA (Europe) and JAXA (Japan). It was established in its modern form in 1969. S. K. Mitra, C.V. Raman and Meghnad Saha are the notable names during Indias formative years of space research. Organized space research in India was spearheaded by two scientists: Vikram Sarabhai—founder of the Physical Research Laboratory at Ahmedabad—and Homi Bhabha, who had played a role in the establishment of the Tata Institute of Fundamental Research in 1945.Government support became visible by 1950 when the Department of Atomic Energy was founded with Homi Bhabha as secretary. The Department of Atomic Energy provided funding for space research throughout India. Space research was further encouraged by the technically inclined prime minister of India—Jawaharlal Nehru.In 1957, the Soviet Union successfully launched Sputnik and opened up possibilities for the rest of the world to conduct a space launch. Beginning in the 1960s, close ties with the Soviet Union enabled India rapidly to develop its space program and advance nuclear power in India. For the past four decades, ISRO has launched more than 60 satellites for various scientific and technological applications like mobile communications, Direct-to-Home services, meteorological observations, telemedicine, tele-education, disaster warning, radio networking, search and rescue operations, remote sensing and scientific studies of the space. ISRO has established two major space systems, the Indian National Satellite System (INSAT) series for communication, television broadcasting and meteorological services which is Geo-Stationary Satellites, and Indian Remote Sensing Satellites (IRS) system for resources monitoring and management which is Earth Observation Satellites. Also ISRO has launched many Experimental Satellites which are generally small comparing to INSAT or IRS and Space Missions to explore the space. Launch Vehicles are used to transport and put satellites or spacecrafts into space. 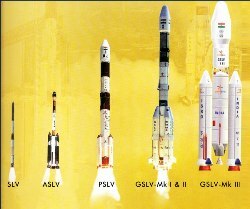 In India, the launch vehicles development programme began in the early 1970s. The first experimental Satellite Launch Vehicle (SLV-3) was developed in 1980. An Augmented version of this, ASLV, was launched successfully in 1992. 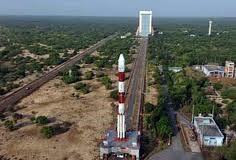 India has made tremendous strides in launch vehicle technology to achieve self-reliance in satellite launch vehicle programme with the operationalisation of Polar Satellite Launch Vehicle (PSLV) and Geosynchronous Satellite Launch Vehicle (GSLV). PSLV represents ISRO's first attempt to design and develop an operational vehicle that can be used to orbit application satellites. While SLV-3 secured for India a place in the community of space-faring nations, the ASLV provided the rites of passage into launch vehicle technology for ISRO. And with PSLV, a new world-class vehicle has arrived. PSLV has repeatedly proved its reliability and versatility by launching 48 satellites / spacecrafts ( 22 Indian and 26 Foreign Satellites) into a variety of orbits so far.